We can help you find your next, new or used Mitsubishi Outlander PHEV plug-in hybrid electric vehicle; we have a range of this exciting plug-in hybrid electric vehicle for sale from across the UK. We are seeing an increase in the number of second-hand Outlander PHEV’s coming to the market in the UK. Since it’s on sale launch in 2014 in the UK, we have seen the demand of the Outlander PHEV increase significantly. We now feature a range of new and used Outlander PHEV vehicles for sale throughout the UK, if you want to buy a new or used Mitsubishi Outlander PHEV plug-in hybrid we will help guide you through the process. The new or used Mitsubishi Outlander PHEV plug-in hybrid vehicle range in price, you can pick one up for anything from around £20,000 to £32,000, a lot of the price is dependent on the spec of this plug-in, as well as the usual factors such as age and mileage. Used Mitsubishi Outlander PHEV cars are available from our network of approved dealers- You can compare prices by using our search function to find and compare similar vehicles. Different dealers will offer various services and guarantee packages. Please ensure you read through all the information on the vehicle classified listing to gain as much information as possible. 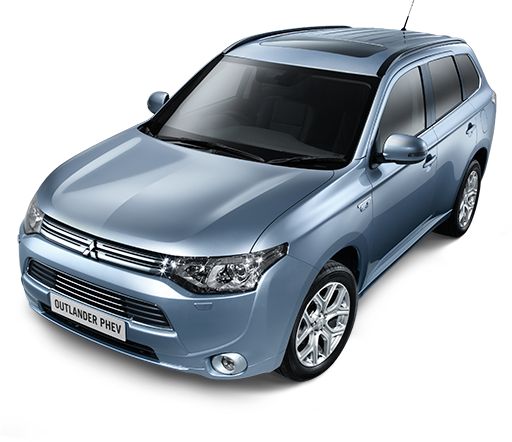 Simply click on the button below to find a Mitsubishi Outlander PHEV ready to buy today. New Mitsubishi Outlander Plug-in hybrid cars are available from Mitsubishi UK dealers- Mitsubishi has a large number of dealerships throughout the UK, find Mitsubishi Outlander PHEV UK dealerships. 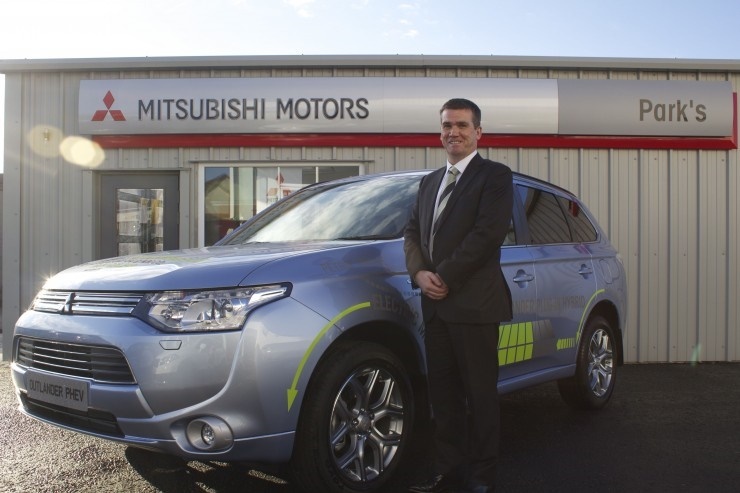 New Mitsubishi Outlander PHEV Contract hire- This is a suitable method of financing for businesses and can produce significant financial savings and tax benefits. Mitsubishi provide details on example contracts based on a contract of 10,000 miles per annum. Based on this an Outlander PHEV GX4h could be on contract for only £295 +VAT per month. This is for business users only. Use the Outlander PHEV Contract Hire and HP finance calculator to see if it will benefit your business. Other Outlander PHEV finance options are available. When exploring these finance options it is important to consider a month by month savings you’ll get from this vehicle as well as the other government incentives including road tax, giving you further financial benefits. From May 2015 the Mitsubishi Outlander plug-in hybrid had sold 63,000 units worldwide. The European market now accounts for around 40,000 units in under two years, since the cars European launch. This means that currently Europe accounts for over 60% of the worldwide market for the Outlander PHEV. The Outlander and PHEV version in Europe are around a 50/50 split, with the majority going slightly to the plug-in hybrid car version. In 2014 the Outlander PHEV was the top selling plug-in electric vehicle in Europe with over 19,900 units sold. This beat the sales for the all-time bestselling EV the Nissan Leaf by 5,000 units. In the first six months of 2015 the Outlander PHEV has proven to remain Europe’s top selling plug-in electric car with over 13,000 units. The Mitsubishi Outlander PHEV was initially released in Japan at the beginning of 2013. As of June 2015, Japan remains the largest country for sales with over 22,500 units sold. In second place is the Netherlands where the take up of EV’s (Electric Vehicles) is generally higher than most other countries, with over 18,000 units sold. The other top European countries were the UK with nearly 12,000 units. Sweden came next with 3,195, then Norway 2,502, Germany 2,132, and finally France with 1,127 registered vehicles. Overall the Outlander PHEV ranks in fifth place for the top selling plug-in electric vehicle of all time worldwide. Following the UK launch, the Outlander plug-in hybrid became the top selling PHEV with over 1,200 units purchased during August 2014. For 2014 as a whole it ended as the top selling plug-in hybrid with other 5,000 new registrations. In March 2015 the Outlander PHEV reached the 10,000 unit milestone and overtook the Nissan Leaf to become the all-time top selling plug-in EV in the United Kingdom. If you are serious about buying a used Mitsubishi Outlander PHEV in the UK, you will find that there are more available than you may think. 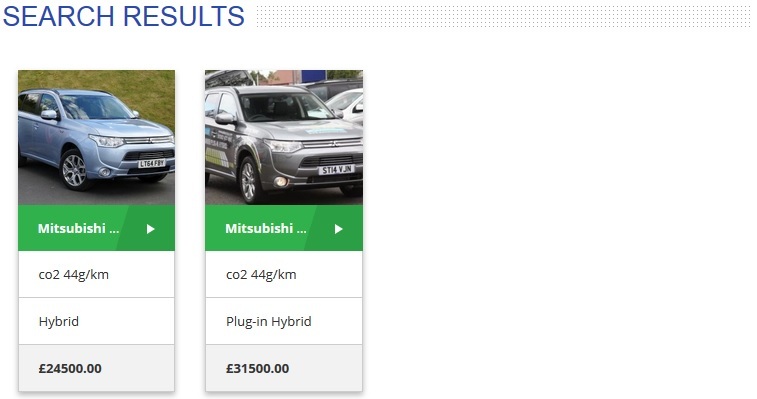 To find a Mitsubishi Outlander PHEV for sale use our unique search function by following this Mitsubishi Outlander PHEVVehicle Search. Not convinced yet? Watch this trailer and see how cool it is to own a Mitsubishi Outlander PHEV. Want to find more Electric Cars For Sale? Want to know more about Hybrid Cars or Electric, Hybrid & Eco Car Manufacturers?